May 1, 1947: Fred Allen was the most frequently censored artist of his time. He was suddenly cut off the air while joking about the legendary network vice president. Fred Allen was cut off rudely a number of times by his own network, NBC. Nevertheless, the most serious instance occurred when he called NBC vice presidents "molehill men." His exact line was "they came to work every morning at 9 o'clock and found a lot of molehills on their desks; then they had until 5 o'clock to make mountains out of them…"
The incident sparked serious strife within the network. 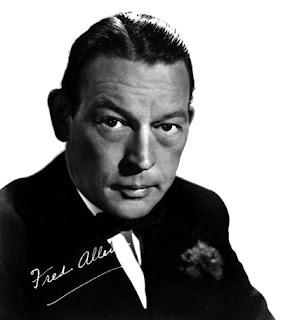 The fight leaked out to the press, and Fred Allen took revenge against his censors by blasting them again with vicious statements, to which the network again reacted. From there, other shows started to join the feud.